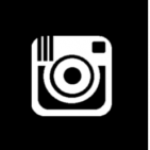 "Instagraph" Another Unofficial Instagram application for Nokia Lumia with Windows Phone 8 just landed at Windows Phone Store early this morning. 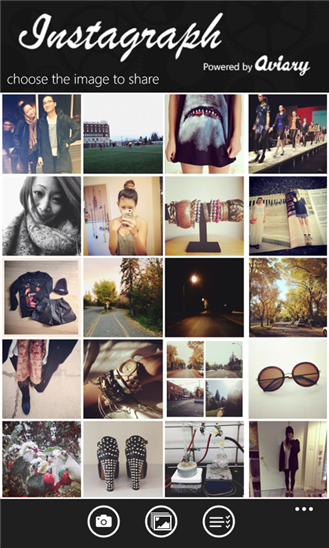 With Instagraph, now you can upload your picture to your Instagram account via 3rd party server. For now, you only can upload up to 3 photos/day.
" 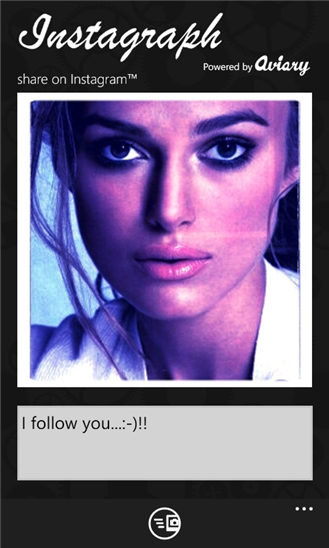 The first and only unofficial Instagram™ sharing App. 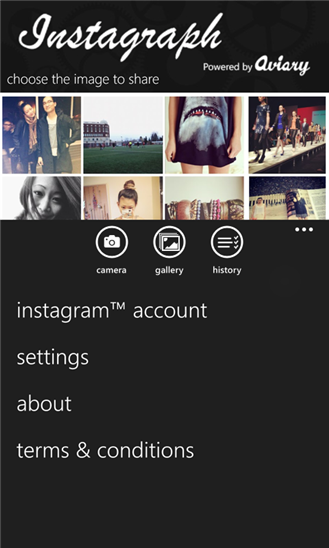 Upload your pictures to Instagram™™ with your Windows Phone 8 device. Easily share and edit pictures from other Apps thanks to the "share" and "edit" WP8 menu integration." Share your image to the Instagram™ network! The publish operation time depends on the server load. You don’t need to run Instagraph in background or even leave your phone connected, your request is securely queued and managed by our servers. You can check the status of every publication on the history page at any time. Currently we are limiting the number of daily uploads to 3 per user in order to guarantee a fast publish time. We are upgrading our server infrastructure to scale accordingly and we plan to increase or even remove this daily quota very soon. This application does not use the Instagram™ API and is not endorsed or certified by Instagram™. 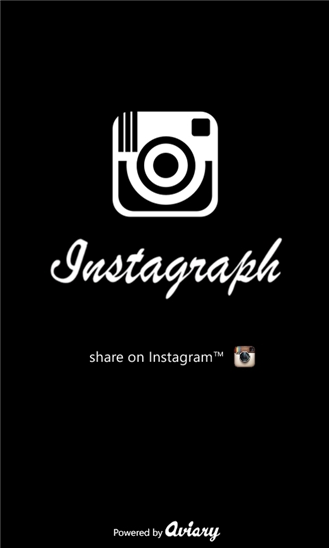 All Instagram™ logos and trademarks displayed on this application are property of Instagram™. Image editor is from Aviary.com.